Each season has its distinct personality, and incorporating the natural elements of the season adds more interest to a wedding. With winter upon us, and the cold weather dictating everything for the rest of the year, we think it is a good idea to take a look at some winter wedding cake trends. Come along, as we find out more about the happening trends in delicious and delightful wedding cakes, this winter. And, don’t forget to tell us which of these trends you will be incorporating into your winter wedding. This video on the Vancouver Sun, mentions that decorating cakes with ruffles is one of the most popular trends in winter cakes this year. The design for the cake is usually inspired by the bridal dress, or by the ruffles that are part of the wedding décor and bridesmaids outfits. Ruffles may be featured on just one tier, or even extended to include all the tiers of the cake. The design feature has a fresh and airy feel, and the cake doesn’t require any additional element, as this in itself gives it a signature touch. Winter and white are almost synonymous. White wedding cakes are a tribute to the season, and they are always tasteful and classic. Couples now choose to go with stark white tiered wedding cakes, decorated with white embellishments that keep the look monochromatic and exquisite. Details like petals, pearls, silver embellishments and piped embroidery are the top choices in cake decorations. 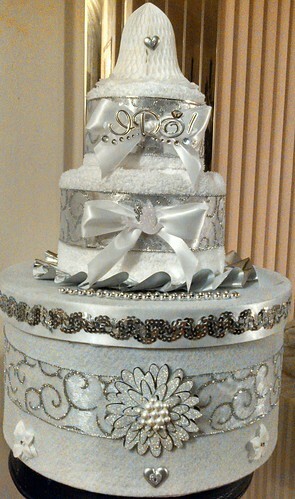 Here, the wedding cake is not covered by layers of frosting or fondant. Instead, it is kept original, with the crumb showing through. The seasonal elements are added between the layers, for taste and texture. Winter favorites are fruits available during the season, such as appleas, pears and perssimons. Although the cake may look rough and exposed, it is a welcome change that is easy on the palette and the stomach. Perfect for a rich, warm dessert, the natural colors of the layers make it attractive. The sheen of metal best suits the wintry landscape and is a reflection of the cool winter ambiance. Taking inspiration from the tinsel trends highlighted every holiday season, wedding cakes with metallic accents in gold, silver and copper are a favorite. There are also cakes that are entirely covered with a metallic finish, that dazzle, shine and scintillate as works of art. With metal, less is more, and the cake finish is usually simple and straight. Don’t you love these winter wedding cake trends? We believe that at least some of them are here to stay. 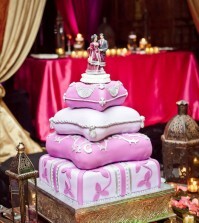 Visit our wedding cake gallery at Best for Bride, for more interesting ideas to base your wedding cake design on. 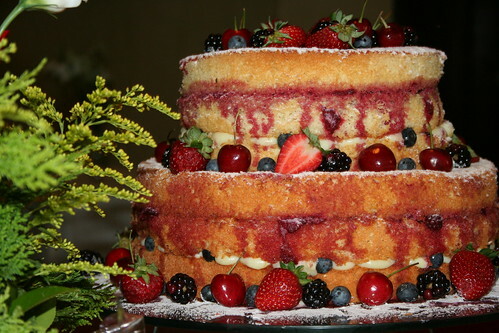 I like the idea of the naked wedding cake. That is something totally different and something that looks even healthier as well.